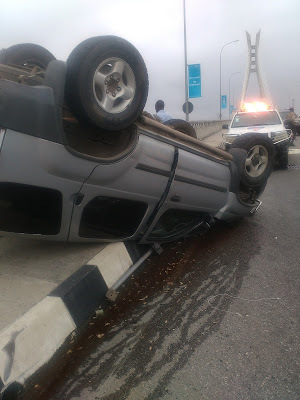 An accident including a blue Toyota Corolla and a silver Nissan Xterra happened today on the Lekki-Ikoyi bridge yet travelers in the two cars supernaturally survived with minor injuries. 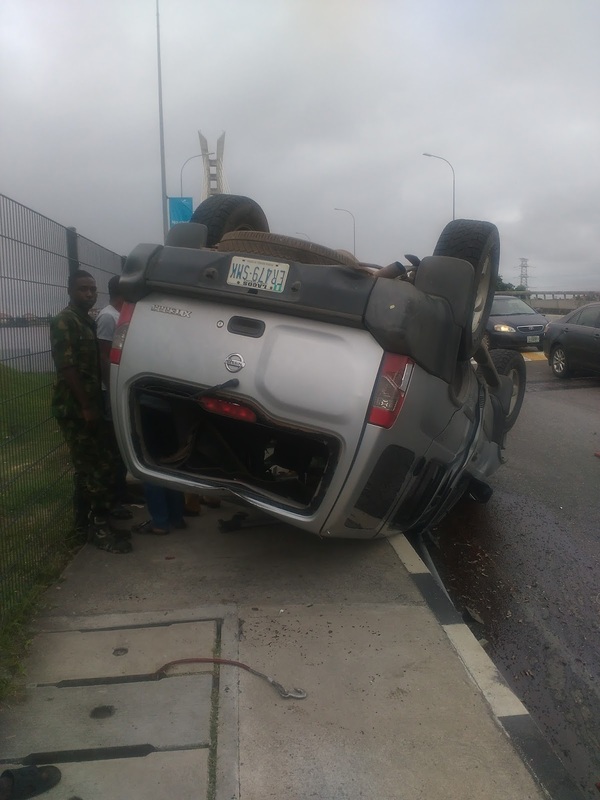 As indicated by witnesses, the silver suv was speeding along the bridge not long after leaving the toll entryway, when it fizzled break, hit the Toyota Corolla before it, and summersaulted. The Nissan, driven by a formally dressed officer, had eight inhabitants, while the Toyota allegedly had four tenants. The trooper had a cut on his brow and it was dying. A female traveler sat at the scene, excessively powerless, making it impossible to move, and grumbled of agony. Her jaw was obviously swollen however, something else, there were no injuries on her body. Different travelers appeared to be OK yet stunned. Government Road Safety officials were on ground to help the casualties while they sat tight for Emergency Services to arrive. The accident happened between 5 p.m. and 5:30 p.m.